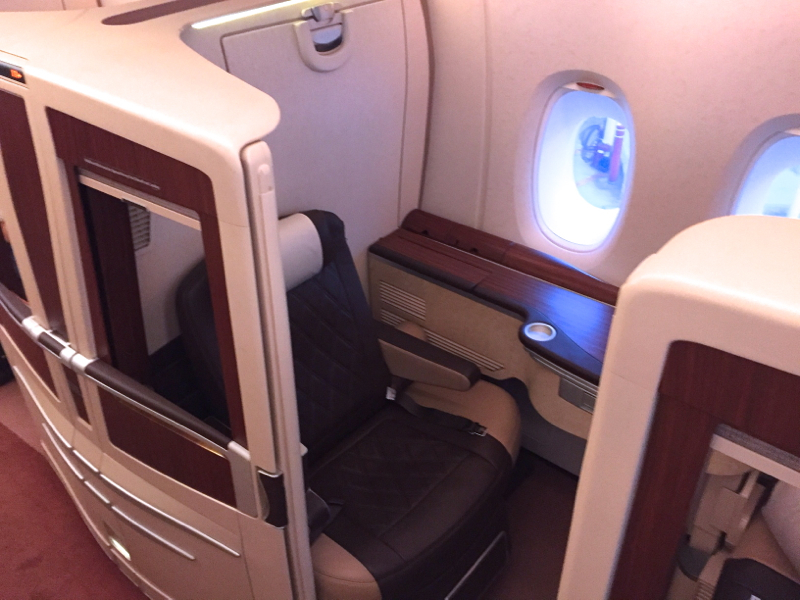 This review of Singapore Suites A380 New York JFK to Frankfurt, with a kid, is part of a trip report featuring Singapore Suites, Air Berlin Business Class, and luxury hotel stays, dining and activities in Berlin and Italy. 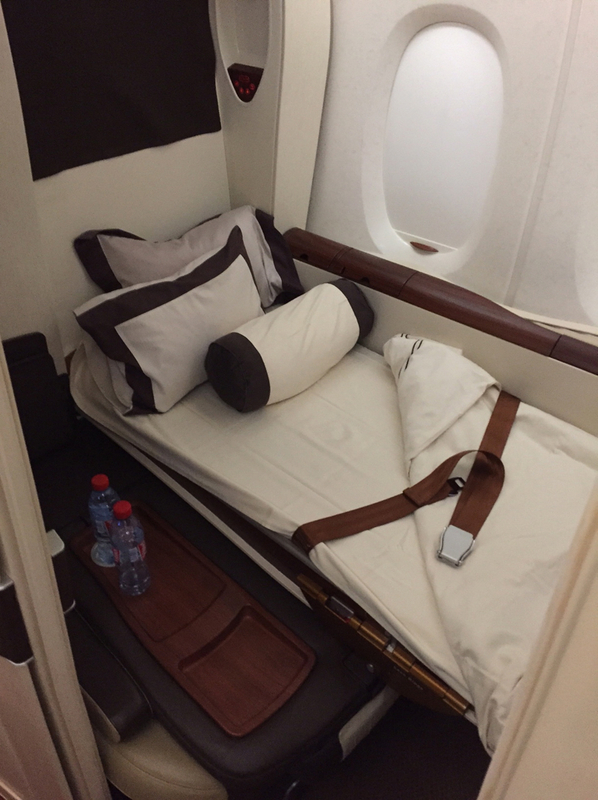 Most people would not wish for a plane ride to be longer than it has to be, but because I was flying overnight from Kennedy in New York to Frankfurt with my seven-year-old son in Singapore Suites, I knew that the experience would be over too soon. We were the first passengers on board the plane, and the flight attendant welcomed us by name. We were offered a choice of pre-flight drinks and chose water. Only one other customer would later join us in the Suites section. 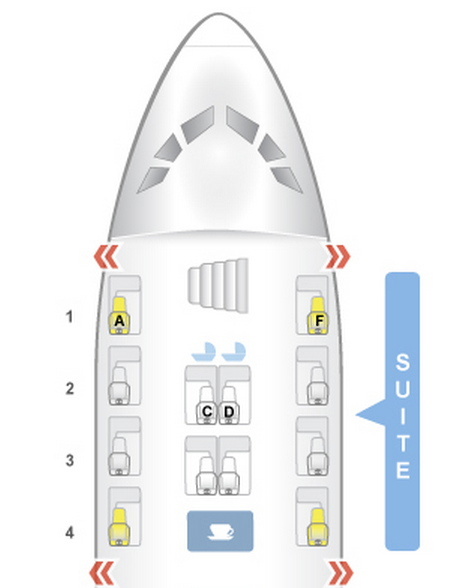 Our original seat selection was 1A and 2A, so that we would have occupied the front cabins on the left side of the plane, between the windows and the bulkhead wall. Either of these suites, especially 1A, offers tremendous privacy. While Seatguru suggests that the proximity of Suites 1A and 1F to the stairs may be bothersome, there isn't any passenger traffic up and down these stairs and I personally didn't feel it lacked privacy at all. The seat controls and entertainment control are very straightforward and easy to use. 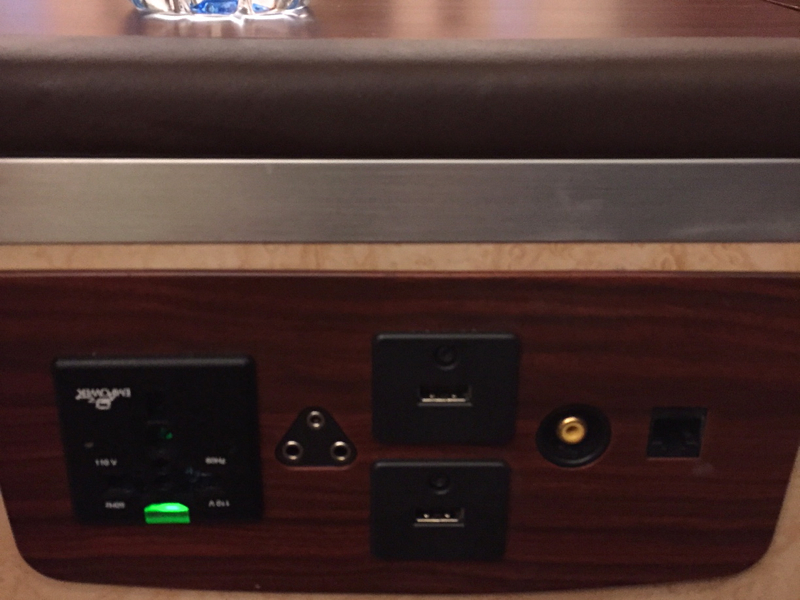 I was also happy to find power outlets conveniently placed, to be able to power my devices. Singapore Suites is of course best known for its large semi-private suites and comfortable flatbeds, but another added benefit are the unusually large storage spaces within the suite. There is no need to worry about fumbling with overhead compartments or losing track of needed personal items during the flight; there is ample room for all carry-ons to remain within your reach, and the table space alongside the chair allows you to keep personal items handy. The seat itself was extraordinarily comfortable, regardless of what position it was in. 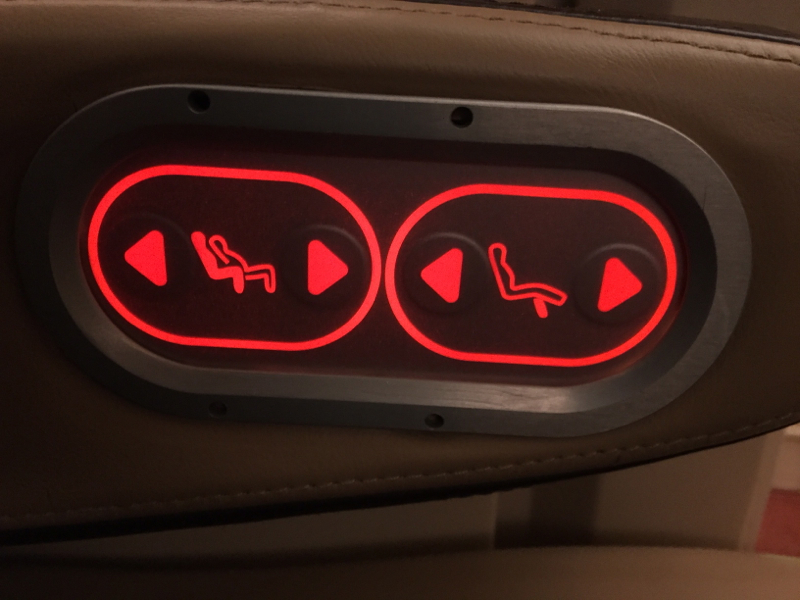 In some flatbed seats I can’t wait for the seatbelt sign to go off so that I can begin to recline; in Singapore Suites I kept the seat in its fully upright position long after that was necessary because it was so comfortable even in that position. Singapore Suites Pajamas, Amenity Kit, and Slippers. Singapore Suites pajamas are charcoal grey and not especially stylish, but they are very comfortable and I will certainly hold on to them to keep for use at home. Slippers were of course provided. 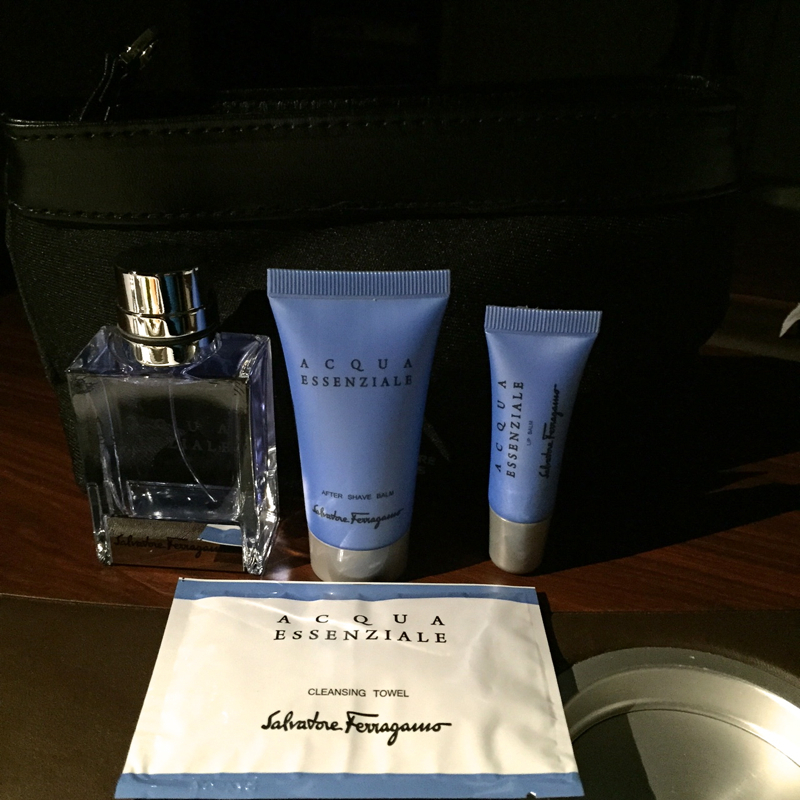 And the amenity kit contained all the usual items, featuring the Acqua Essentiale brand by Ferragamo. 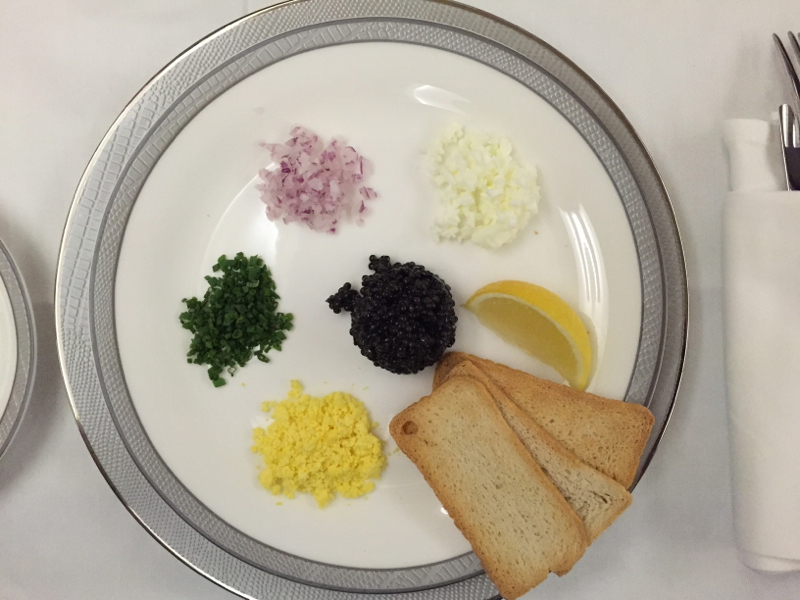 For dinner, I started with the caviar plate, which was wonderfully salty and included all the accompaniments: toast, minced hard boiled egg, sour cream, onions and lemon. 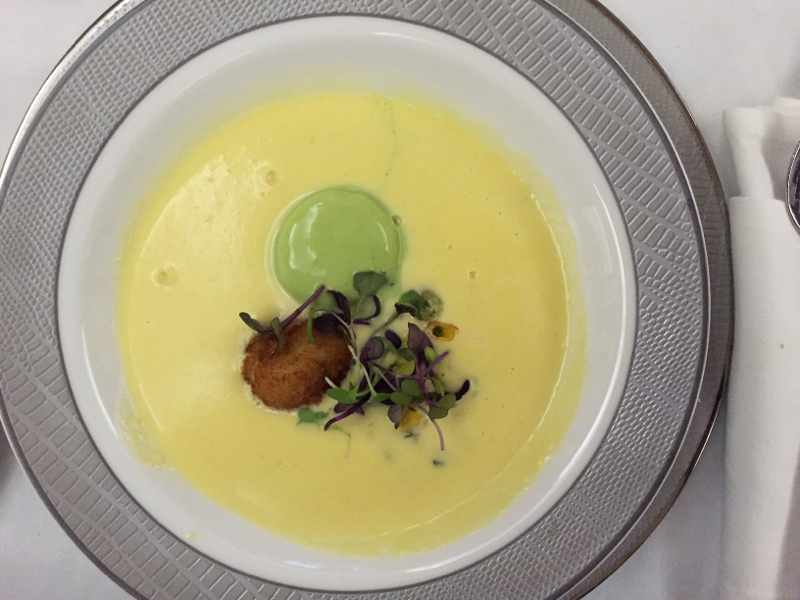 Next, I ordered the warm corn soup with crab croquette and coriander timbale. 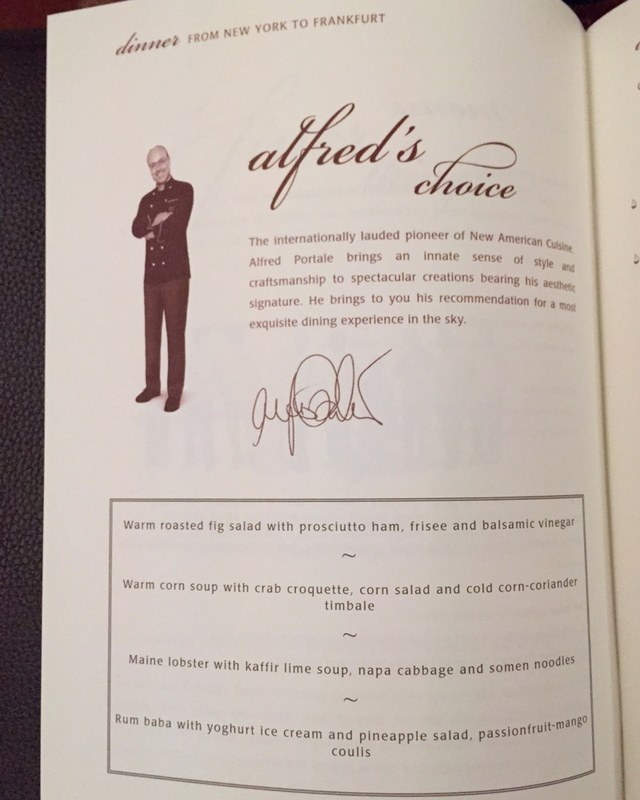 The soup was deliciously sweet and the crab was nicely crunchy. 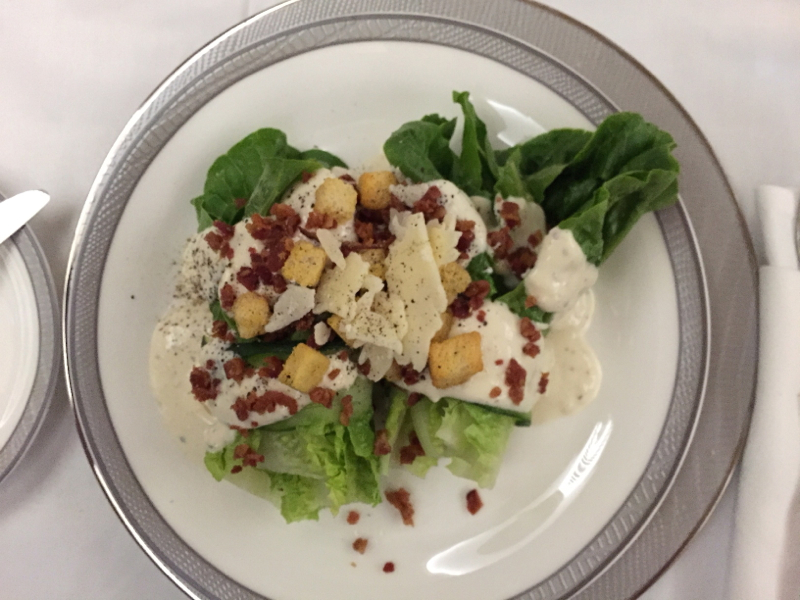 I then had a fresh and tasty Caesar salad, with all ingredients nicely distinct in texture and flavor. 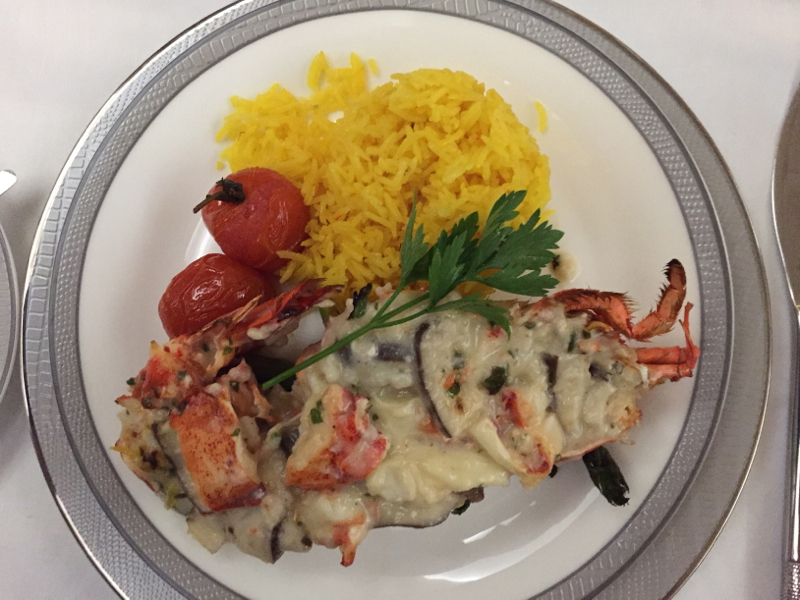 For the main course, I finished with Lobster Thermidor, which my wife had pre-ordered for me via Singapore's Book the Cook service, which was also quite good, with the aromatic rice and roasted cherry tomatoes. I was too full for dessert, and soon chose to go to sleep. 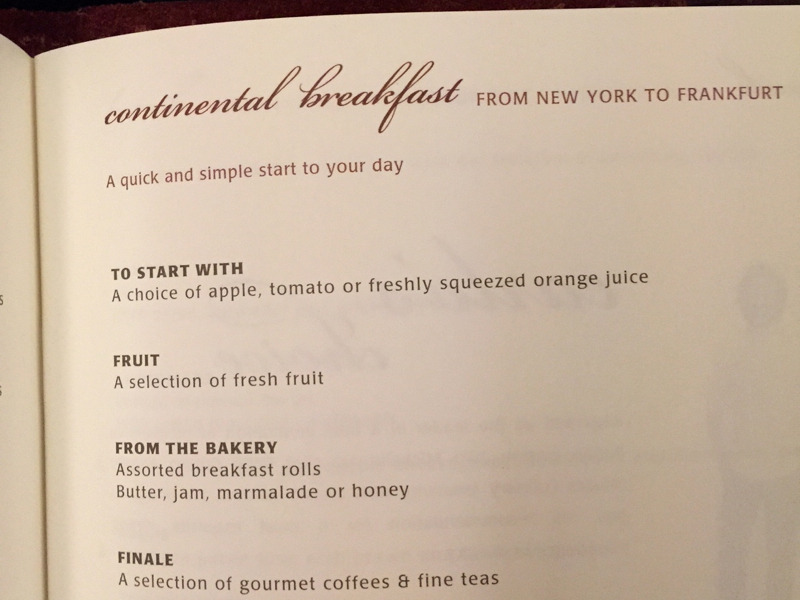 I next had some pastries with butter and jam, as did my son, who woke up rather famished. He happily devoured the pastries and fruit, which were fresh and yummy. 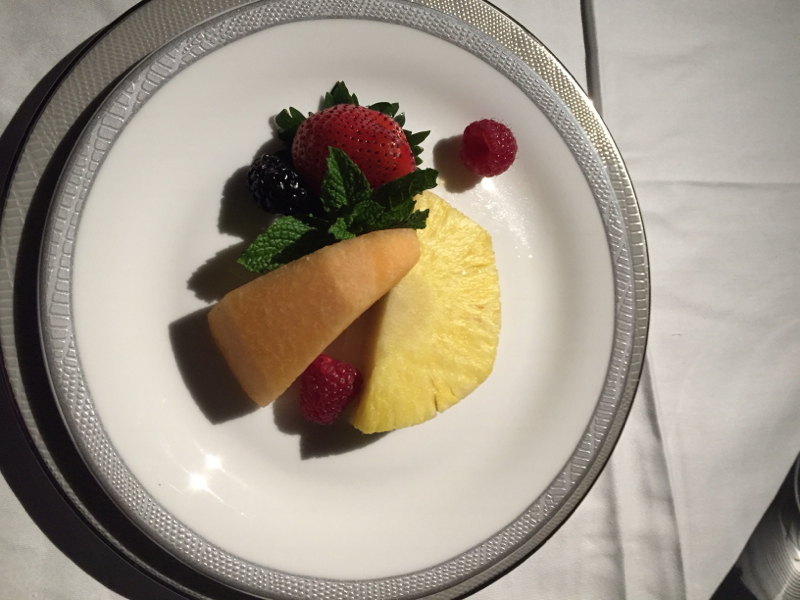 The Singapore Suites bed, which the crew makes up for you, is certainly large and wide. My only criticism is that for me it is too firm, such that I did not sleep as well as I usually do at home or on a good hotel mattress. 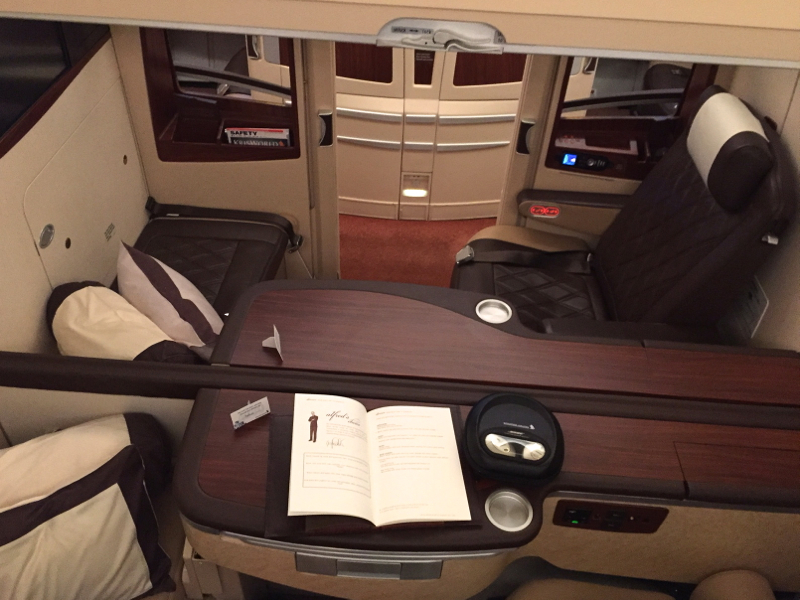 That said, it offers better comfort than any other airline mattress I've experienced, though my wife says Japan Airlines (JAL) First Class is next best, after Singapore Suites. The film selection was good, but because the flight was so short I did not have the opportunity to watch as many on-board films as I usually like. I watched Mr. Turner briefly before dinner, and some of American Beauty by Director Alan Ball (creator of Six Feet Under) while my son was chortling with amusement at his Japanese cartoon with English subtitles. 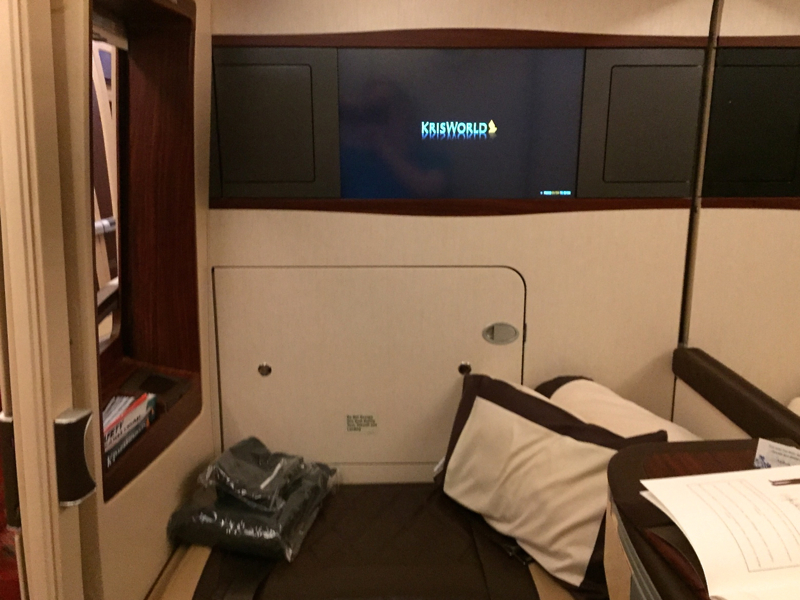 Singapore Airlines' Krisworld IFE system is hands down the favorite for our family, given its incredible array of choices–my wife has even kept copies of the movies, as inspiration for foreign films for us to watch at home. The service was delightful. The attendants were highly professional but also warm and intuitive. One of the attendants volunteered to help with my son if needed so that I could sleep longer; this was not necessary, but I really appreciated the “babysitting” offer. Another flight attendant was so skilled at navigating the interior space of the cabin that upon seeing me rise into the aisle to head for the bathroom she walked backwards three steps without looking and slid effortlessly into one of the open suites to allow me to pass as if she were performing a choreographed dance. 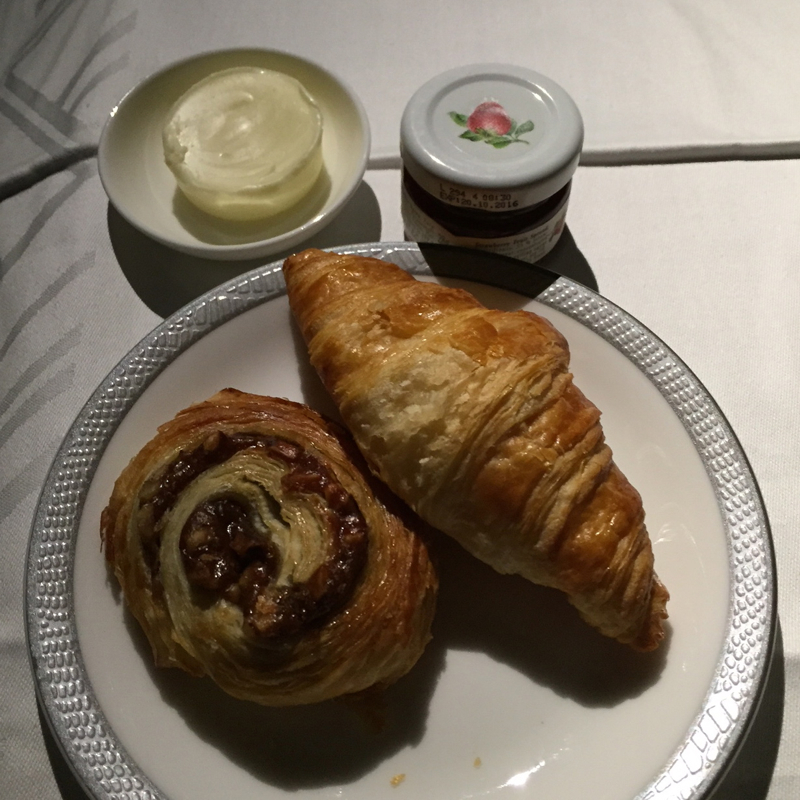 As the plane glided into Frankfurt airport after eight hours I found myself furtively wishing that somehow the flight could continue on to Singapore or even Australia so that the luxurious indulgence could continue. There was not a single weakness with the service or comfort, excepting a bed that could have been a little softer. 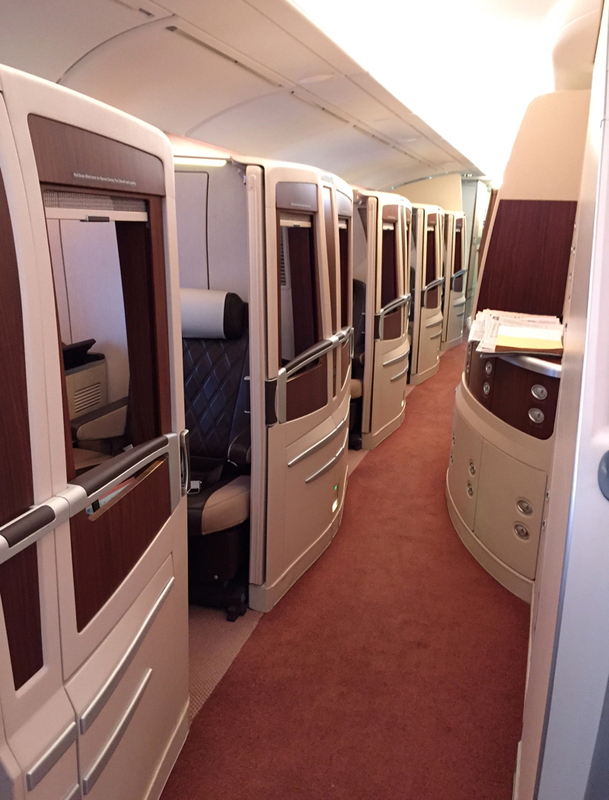 If you've flown Singapore Suites on the A380 recently, what was your experience?